With this weekend’s box office earnings totaled up, the Despicable Me franchise has officially become the highest grossing animated film series worldwide. This honor previously belonged to DreamWorks Animation’s Shrek franchise, which included a total of five films (including Puss in Boots) from 2001-2011. The four Despicable Me films (including 2015’s Minions) currently top out at $3.528 billion globally, compared to the Shrek films’ $3.51 billion. All four of the films in the DM franchise thus far have proven successful for Illumination Entertainment, all helmed by Chris Meledandri and produced at reasonable budgets. The first film in the franchise earned $546 million globally in 2010. The 2013 sequel, Despicable Me 2, easily beat that out with $976 million globally. 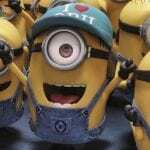 Minions, a sort of prequel to the franchise, became the highest grossing animated film of 2015 and the second highest grossing animated film of all time with $1.159 billion (boxofficemojo.com). As of now, this summer’s Despicable Me 3 has made a grand total of $879.5 million globally, including a hefty $149.2 million in the PROC (People’s Republic of China), where DM3 is currently the second highest-grossing animated movie ever, behind only last year’s Zootopia. Despicable Me 3 is still playing in theaters, and is expected to reach over $900 million before its run ends.